As I run my website and I also have disabilities of my own, severe arthritis and sleep apnoea, I am aware of others around me who clearly show signs of being disabled, but not all disabilities are visible. Recently I saw what think is a new sign in an Asda store, and I thought what a very good and sensible sign it was. All too often you can see people look and ‘tut’ as they see what seems like a normally fit and healthy person enter a disabled toilet. However, you do not need to be in a wheelchair or mobility scooter or using crutches/walking sticks or other living aids in general in order to be disabled. Asda have clearly embraced this position and it is so good to see that people are being made aware that they need to be more understanding when they see people going into disabled toilets or indeed using disabled parking spaces. I do not want to elicit sympathy for my arthritis, but it is often easy to see the amount of pain I am in, however, my sleep apnoea, which can cause all sorts of problems when it is at its worst, is not easily spotted and the same goes for an awful lot of disabilities that other people struggle to cope with. Can you imagine how it must be to have a stoma bag fitted and need to empty it when you are out doing your shopping? Very few people would ever realise you have one on, but obviously those having to cope with it will not readily show to others the problems that they have. This doesn’t change the fact that their disability is as difficult to cope with as any of those I suffer from, but I probably get more sympathy as my arthritic problems are clearly visible. 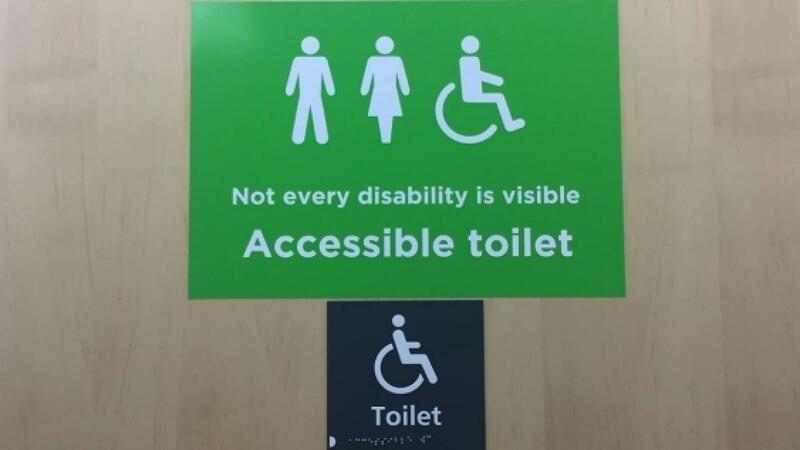 So please remember not all disabilities are visible and let us all congratulate Asda for their signage and encourage other companies to follow their lead. The improper use of antipsychotic drugs as chemical restraints — for staff convenience or to discipline a resident — has been used in nursing homes for decades. The drugs sedate residents so they don’t ask for assistance or complain. It is one way to overcome the epidemic of short-staffing at nursing homes. Nursing homes have been exaggerating levels of nursing and caretaking staff for years, according to a study of federal data by Kaiser Health News. In 1975, the Senate released a report called “Drugs in Nursing Homes: Misuse, High Costs, and Kickbacks,” detailing the same misuses today. In the past decade, many manufacturers of antipsychotic drugs have been sued for mislabeling the medications to promote them as appropriate for treating older people with dementia. However, the Food and Drug Administration required manufacturers to place the strongest caution, known as a “black box warning,” on the packaging to advise against the use of antipsychotics in these patients; such drugs double the risk of death and have never been approved as effective or safe for treating symptoms of dementia. Despite the explicit and dire warnings, nursing homes still often administer antipsychotic drugs, oftentimes without seeking informed consent first. Families must be aware of the dangers and fight to keep their loved ones off these dangerous drugs. These powerful drugs are misused because there is a lack of awareness of their dangers, despite the well-known black box warnings; lack of training in dementia care; and to compensate for understaffing. They are used to control people without concern to the irreversible dangers to the residents. As attorneys who specialize in nursing home neglect and abuse cases that often involve the wrongful death of a parent caused by chemical restraints and antipsychotics, we can help you make sure you are provided the right information to make an informed decision. If a loved one has been neglected or abused at a nursing home, please contact us for help. Maintaining a healthy weight is important no matter what age you are. For seniors, carrying a lot of excess weight into old age is hard on the organs, can contribute to diabetes, and makes it hard on the hips, knees, and ankles, particularly for older adults suffering from arthritis. Yet it’s inadvisable for older adults to jump into just any diet that comes along. Some of the popular commercial diets on the market feature processed foods that can be high in sodium, a problem for individuals with high blood pressure. Elderly people looking to lose weight should always consult with their physician and, if possible, with a dietitian before committing to a diet. It’s important that a senior-friendly dietary approach take into account a sedentary senior lifestyle, which doesn’t foster a strong appetite. Author Mike Moreno, Ph.D., recommends that smaller, nutritionally balanced meals be eaten more frequently. Protein should be the cornerstone of a senior diet, including egg whites, fish, chicken, and turkey. Fiber should also be a mainstay of any senior diet because it aids digestion and weight loss and can lower bad cholesterol and help control blood glucose. Fruit and vegetables, legumes, whole grains, wheat germ, lentils, and brown rice are excellent sources of fiber for seniors. It’s also recommended that seniors drink eight to 10 glasses of water to help dissolve the elements of a high-fiber diet. Green and black tea, juice, and other non-caffeinated liquids are also excellent augmentations for a high-fiber diet. A diet rich in fiber makes you feel full and less likely to continue eating between meals. For seniors, it helps combat constipation, a chronic problem among many senior citizens because the contractions that stimulate bowel movements are less prevalent among seniors. Stimulating appetite is important for senior citizens, who need to eat so they can maintain a healthy nutritional intake. Engaging in some form of regular exercise is an excellent way to help control one’s weight level and make you feel hungry. Always talk to your doctor before beginning an exercise regimen. You could aggravate an existing condition or strain something that might require treatment. If you’re unaccustomed to physical exercise, start with some basic exercises like sit-ups and toe touches. Walking is one of the best forms of exercise because it gives you a good aerobic workout and exercises muscle groups in your lower body. It also gives you an elevated energy level and helps you feel better by stimulating neurotransmitters in the brain. If you dislike exercising by yourself, turn it into a social activity. Get a group of like-minded friends together to go walking at a nearby mall or at your favorite park. It’s fun, and you’ll be helping each other engage in a healthful group activity. When it comes to walking, it’s a good idea to stay with a nice level surface instead of a hilly area, where joint pain and fatigue can put a quick halt to your exercise plans. The great thing about weight loss is that it’s not an age-specific wellness activity. It’s always a good idea, as long as you go about it the right way. Your physician can help you set up a diet and exercise plan that works for you. 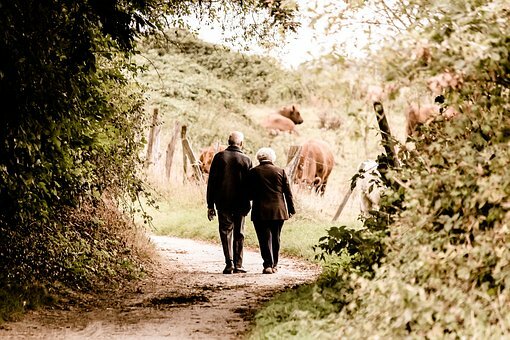 Age should be its own reward; for the elderly, it is important to make the most of their golden years, spending it with family and friends instead of at the pharmacy or doctor’s office. But for many senior citizens, managing and adhering to their medication can chew up the bulk of their time and patience and eat away at their moral. Managing multiple medications is unavoidable when it comes to chronic illness and geriatric care because the risk of improperly adhering to medications can lead to serious health complications. Research has shown that half of all patients misinterpret at least one of their prescription labels. This kind of user-error is exceedingly common among older demographics. Of course, pharmacies do their part in printing essential information such as health risks and dosage requirements, but they still cannot ensure each medication is taken properly; it is hard enough having to take one pill daily, any more than that starts to feel like a juggling act. There are a few methods to help make medication management more stress-free and routine—such as pill dispensers, medication calendars, handwritten lists of medications, and of course meticulous relatives. Smartphones are now improving on these existing medication management methods and becoming powerful solutions to help support patients with the many challenges of living with chronic conditions. Let us look at some simple ways smartphones are being used to facilitate better medication adherence, and therefore healthier and longer lives. A major hurdle to managing medications is understanding the medications you are taking. With names like Idarucizumab and AbobotulinumtoxinA, many medications are just impossible to memorize. While those examples may be extreme, even more common brand name drugs like Symbicort® may be difficult to recall on hand. For somebody taking 2-3 drugs this might not be the biggest deal, but many older patients end up on way more meds than that. Having your medication history handy is a major convenience for things like intake during doctor visits, and it can even avert disaster in emergencies where time and accurate information are critical. Many patients I speak with have no method for remembering their medication names, but some do keep a list on a notepad or post-it note for reference. This can be a good solution to remembering your meds, especially if you keep the list on your person at all times such as in a wallet or purse. With mobile smartphones, it is extremely simple to keep yourself from losing your medication list by storing it in your phone. We usually have our phones with us, and they can be easier to read than hand written notes. 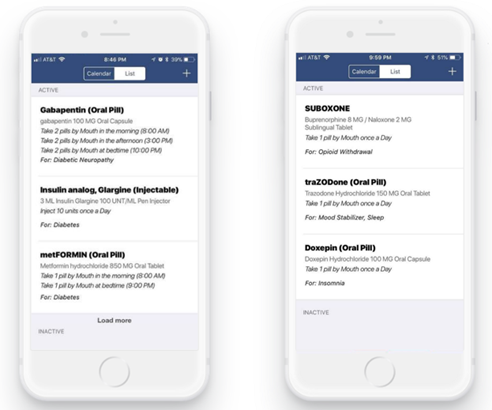 Creating a list can be done on a phones note pad, but for an easier and more robust experience that includes things like a drug name search, listing available dosages, and medication directions; you can try out something like the free MedManage app to create an electronic medication list. Using an app that’s customized for medications can provide you with a medicine list that has plenty of useful info, minus the extra effort. As an example, check out the picture below of a couple of medication lists in MedManage. It includes info such as the disease indication, as we all as comprehensive dosage directions which are extremely useful for you and your healthcare provider to know. Another way smartphones can be helpful to properly managing medication use is as a reference tool for drug info. A person should definitely be wary about information on the internet, especially something like medical health information. However, with limited face-to-face time with physicians, doing some independent research can be extremely helpful before or after a doctor’s appointment. You can use a drug reference database to search for the medications your doctor recommends or prescribes. This will allow you to be more informed about what the drug is and how it works, potential side effects or adverse events, medication usage guides, storage instructions, and more. Since it is all on the internet, all this information can be readily accessed on the go using a smartphone. Researching the treatment options available is also important because there are a variety of ways to treat illnesses. Having an informed patient who understands the pros and cons of different treatment options can be extremely helpful to a healthcare provider, and aid in making a personalized treatment plan. For example, a person with asthma who doesn’t seem to be getting benefit from their inhaler could look up what types of inhalers are available and discuss those options with their doctor based on what they read. Having an alarm or alert can be extremely helpful in remembering to take medications, especially for patients experiencing memory loss. Electronic reminders have been shown to be effective at improving adherence throughout a wide range of scientific studies. The multi-study review looked at electronic alarms and phone message alerts and found them both to have a positive effect on medication adherence. If your medication schedule is simple, a daily alarm or two on your phone can help you stay on top of taking your meds. 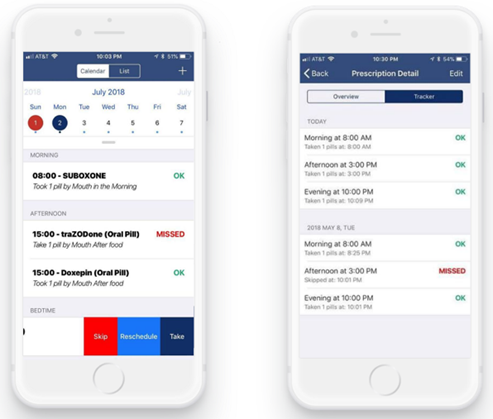 For more complicated drug regimens you can use the free app mentioned above, MedManage, to set up several automated electronic medication reminder alerts easily and hassle free. The increase in healthcare information and technology is increasing our ability maintain health records easily and access information online on demand. While these changes might seem scary at first and difficult to navigate, they are there to be helpful and save people time. Why not try it out and see if it works for you? Nursing homes often become an extension of a hospital stay for seniors on Medicare or Medicaid. When choosing a nursing home for rehabilitation, it’s important to know Medicare will pay only a portion of the costs. For example, Medicare will cover the daily fee, for the first 20 days, upon pre-approval by a medical doctor and then may pay for days 21 through 100, the maximum stay for reimbursement. This means that Medicare’s full benefit upon doctor approval only pays for a little more than three months of a nursing home stay. Medicaid, the low-income version of Medicare, does pay for ongoing stays in nursing homes that accept Medicaid as payment. Find ​nursing homes​ in your area who accept Medicare as payment vs. Medicaid as payment.​ Usually nursing homes primarily accepting Medicare or private pay will allow a senior to stay if they spend-down to Medicaid even though they would not accept the senior on Medicaid as a new patient. Keep in mind that as Medicaid reimbursements can be lower, the 100% Medicaid nursing homes may not offer as many amenities. Review Caregiverlist nursing home ​star ratings, ​​ which include the top criteria impacting quality of care: Overall Medicare Star Rating, % of Short-stay Residents with Pressure Sores, Certified Nursing Aide (C.N.A.) hours per resident per day, % of Long-term Residents whose need for help with Daily Activities has increased. Make special note of the C.N.A. hours per resident as many times nursing homes suggest hiring a private duty caregiver if more care is needed when the staffing ratio is only 1 C.N.A. to 12 or more residents. Review the ownership of the nursing home. ​Nursing homes may be owned by hospitals or healthcare groups or equity groups. This will be an indication of what focus is more important: care or profits. Find licensed senior home care agencies in your area to have as an alternative to nursing ​home care. Senior home care agencies provide one-to-one care and often cost less than a nursing home. As we age, the general consensus seems to be that we need to take it easy, but this couldn’t be farther from the truth. Less movement means we are more likely to experience health issues such as arthritis, lower joint flexibility, chronic pain, and sleep issues. Luckily there is an activity that can help with these issues, even if you are already experiencing them – yoga. 1. Movement – You may have noticed that your movement, balance, and flexibility just aren’t what it used to be. While yoga can’t return you to the limberness of your twenties, it can greatly improve it. Think of yoga as a daily realignment, teaching your body to naturally fall into the proper posture to maximize comfort, balance, and even respiratory function. The smooth, fluid movements are low-impact, working to slowly work stiff joints. After each session you’ll notice your flexibility is slightly improved from the last time. 2. Pain Relief – Millions of people suffer from chronic pain, desperate for relief. The good news is that yoga can help. Chronic pain has been shown to decrease gray and white matter in the brain, leading to decreased cognitive functioning and higher pain perception. Yoga replenishes your brain matter as well as reduces one of the common aggravators of chronic pain – stress. Yoga that focuses on relaxation, such as restorative or gentle yoga, could be the pain reliever you are looking for, giving you the ability to pursue other physical activities that your pain once kept you from. 3. Sleep – How many times do you see seniors depicted as spending their day napping on the sofa? While this is a stereotype, you might prefer a nap if you aren’t getting enough sleep at night, which can carry over into your daily life. Would you rather go on a brisk walk or take a snooze since it didn’t happen last night? 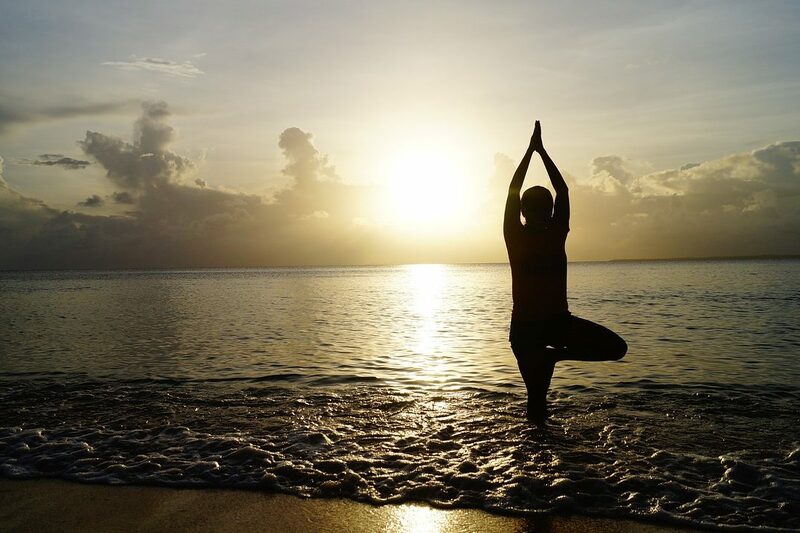 Yoga can promote healthy sleep patterns, giving you the energy to conquer the day and put a little pep in your step. If you are interested in giving yoga a try, give your local yoga studio a call or check with a senior center to see about potentially starting a class. Yoga can be done in your home as well, so invite over a friend, and get to it. 1. Bowling – You’re probably wondering how bowling is possibly considered a form of exercise. Well, it is! The metabolic rate for sitting is 1.0, which is the number of calories burned. Bowling comes in at 3.5, which is comparable to playing a round of golf (minus the sweat). While bowling won’t improve your cardiovascular system, your musculoskeletal system will take a positive hit from the short bursts of energy: getting up, taking your turn, repeat. If you’ve lived a sedentary lifestyle up to this point, bowling is a great way to make the transition. 2. Wii Games – If you have grandkids or have been around young children, you are likely familiar with the Wii craze. A Wii is a gaming system that allows you to enter the virtual world via a remote. You can golf, bowl, play tennis, practice yoga, or even drive a racecar. While this system was originally intended for entertainment, add-ons such as balance boards and remotes that monitor arm movement encourage physical activity and fun. 3. 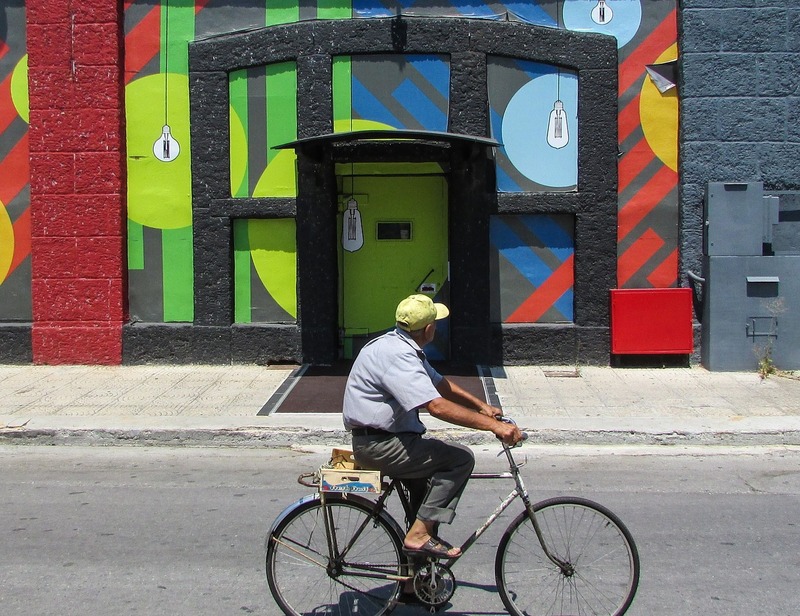 Spinning – Dust off your old bike or join a spinning class to enjoy a favorite childhood pastime. While your days of pedaling furiously up and down hills might be behind you, you can certainly slow it down to a more manageable speed, strengthening your heart and raising your lung capacity. You’ll find that you also build muscle strength, fighting back against muscle loss and improving balance and coordination. As you can see, getting active doesn’t have to be boring or monotonous. Find an activity you enjoy and reap the physical health benefits as an added bonus.